You might want to think twice before stepping into that tanning bed or going to the pool without packing a bottle of sunscreen. Every hour spent outside is exposure to some level of radiation. According to the Skin Cancer Foundation, there are two types of Ultraviolet rays: A and B.
UVA rays penetrate the skin more deeply than UVB rays, aging the skin by damaging skin cells. UVB rays are primarily responsible for sunburns. Both types of rays suppress the immune system and cause eye damage. When skin comes into contact with UVA rays, the skin’s DNA darkens in an attempt to protect from further damage. These mutations can lead to skin cancer. “About 86 percent of melanomas and 90 percent of non-melanoma skin cancers are associated with exposure to the sun’s ultraviolet (UV) rays,” said Perry Robins, MD and president of The Skin Cancer Foundation, in an April press release. 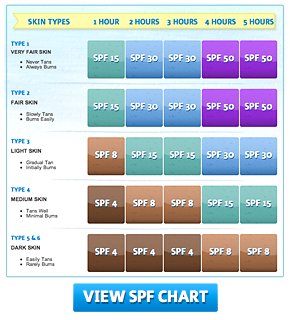 The SCF suggests several ways to decrease skin damage this summer. Avoid exposure to the sun between 10 a.m. and 4 p.m, when UV rays are the most intense. Also, the foundation recommends applying about two tablespoons of sunscreen to your entire body 30 minutes before stepping outside, and reapplying sunscreen every two hours. The use of tanning beds also is discouraged. According to SkinCancer.org, people who use tanning beds before age 35 increase their risk for melanoma of the skin by 75 percent. Biology major Jenna McGrath said she wears sunscreen on her face every day and avoids tanning beds. When stocking up on sun protection, consumers don’t need to worry about buying 1,000 SPF sunscreen. The American Melanoma Foundation reports that SPF 2 blocks 50 percent of ultraviolet radiation; SPF 15 blocks 93 percent and SPF 34 blocks 97 percent radiation. Dr. Stephen Wang of SCF said individuals applying high-SPF sunscreens may not burn (UVB is the chief cause of sunburn), but without UVA-screening ingredients a person can still receive large amounts of skin-damaging radiation. He said to look for sunscreens labeled “broad spectrum” to protect against both UVB and UVA rays. Sunscreen addicts also don’t need to shell out the big bucks for designer sunscreen. Consumer Reports’ 2015 Best Picks selected these best buys: No-Ad Sport 50 SPF, Equate Sport Continuous Spray SPF 30 and Equate Ultra Protection Lotion SPF 50. All of those run under $10 a bottle.